Welcome to Montgomery Orthodontics, P.A. Montgomery Orthodontics, P.A. 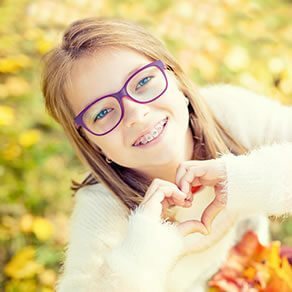 offers advanced, personalized orthodontic care, tailored to each person’s unique needs and goals. Since 2002, Dr. Mary Richmond has been gently and skillfully crafting beautifully healthy smiles for all ages, including people with special needs. Her greatest joy comes from increasing each patient’s self-esteem and confidence, while building a friendship with the person who owns the smile. Committed to the highest-quality care, she provides all of the treatment, never handing-off an adjustment or other procedure to a staff member. Your unique treatment plan may include traditional metal or clear (ceramic) braces or Invisalign® clear aligners for adults or teens. Dr. Richmond also offers early orthodontic and two-phase treatment, dentofacial orthopedics, and solutions for impacted canines. Your first step toward a more confident and healthy smile is a complimentary consultation with Dr. Richmond and her team. Please contact our Skillman, NJ orthodontic office, serving Princeton, Belle Mead, and surrounding communities, to schedule a consultation for yourself or your child. At Montgomery Orthodontics, we deliver a comfortable and efficient orthodontic experience, ensuring you achieve your best smile and enjoy the journey!